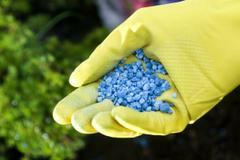 The introduction of antidumping duties imposed on Russian urea and urea-ammonium nitrate (UAN) should be postponed until Ukrainian parliament passes the bill concerning zero nitrogen fertilizers duties for other countries. According to a response of the Agricultural Policy and Food Ministry to a letter of Ukrainian Agrarian Confederation and other agrarian associations, on December 27, 2016 the bill was endorsed by the governmental committee and sent to central executive power agencies for approval. "The Agricultural Policy and Food Ministry believes that it is necessary to suspend antidumping duties imposed on imports of fertilizers from Russia until the Verkhovna Rada approves the above-mentioned bill to avoid possible negative consequences for agriculture," reads the letter signed by Deputy Agricultural Policy and Food Minister for European Integration, member of the interagency commission for international trade Olha Trofymtseva. The full version of the letter is in the attachment. According to experts, antidumping duties on imports of fertilizers from Russia will lead to higher prices on this products in Ukraine. That is why Ukrainian Agrarian Confederation and other agrarian assotiations asked the Government to protect the interests of Ukrainian farmers.